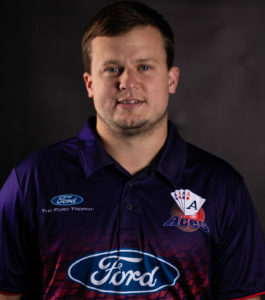 The Auckland Aces have cemented their place in third on the BK Super Smash table after beating the Otago Volts by four runs at Eden Park Outer Oval. The Volts won the toss and sent the Aces in to bat. New signing Daniel Bell-Drummond got his Aces stint off to a great start with a four off his first ball. His partnership with Glenn Phillips yielded 45 runs in four overs before Phillips was caught. Bell-Drummond then fell two overs later, LBW to Christi Viljoen. From there, the Aces entered a period of rebuilding, with Mark Chapman and Craig Cachopa in the middle. Cachopa played some sublime shots, including sending one of his five 6s onto the road, to make 73 off 38. 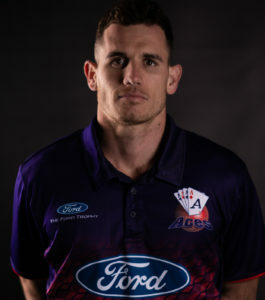 The Aces would have been looking to accelerate through the final five overs, but Robbie O’Donnell and Cachopa couldn’t quite get there, Cachopa falling with seven balls to go. The Aces final score of 184/5 was easily defendable, and they went about defending it in impressive style. In the first Josh Tasman-Jones hit Matt Quinn to the on-side, only for Donovan Grobbelaar to take an incredible one-handed in the air to his left. Otago were 8/2 next over, when Shawn Hicks hit the ball straight up in the air, and Phillips took the catch. The Volts then had to play conservatively, falling well behind the run-rate, and every time they started to hit out, the Aces took a wicket. With five overs to go, Ben Raine and Brad Wilson combined to produce a some big shots – including welcoming Bell-Drummond to New Zealand by putting him on the concourse twice in two balls. When Wilson fell to Quinn, the Aces started to relax, but Raine wasn’t done. Working with forst Viljoen and then Nathan Smith, he brought it down to 17 runs off the last over. Mitchell McClenaghan, obviously fired up, came on to bowl that last over. Despite an unlucky ball which went for four behind the batsman, he restricted the Volts batsmen to needing six to win of the last ball. A tense moment, but a perfect finish. 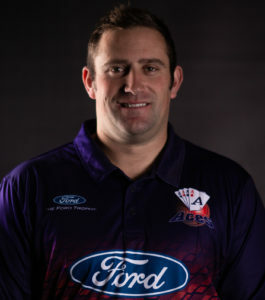 Raine could only send the ball straight down the ground, where Grobbellaar fielded the ball on the boundary and the Aces had a four run win. The Aces next play the Kings in Christchurch on Saturday 26 January.